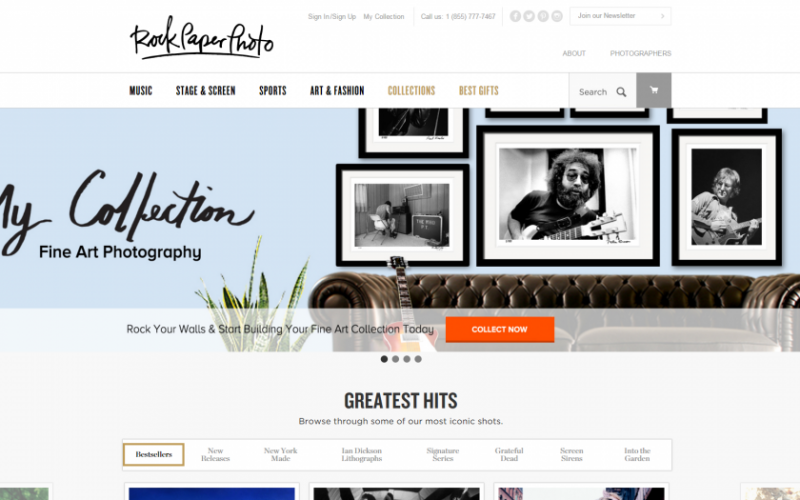 Rock Paper Photo came to Union Square Design for a website face-lift. We worked with them to give them the website redesign that they needed. 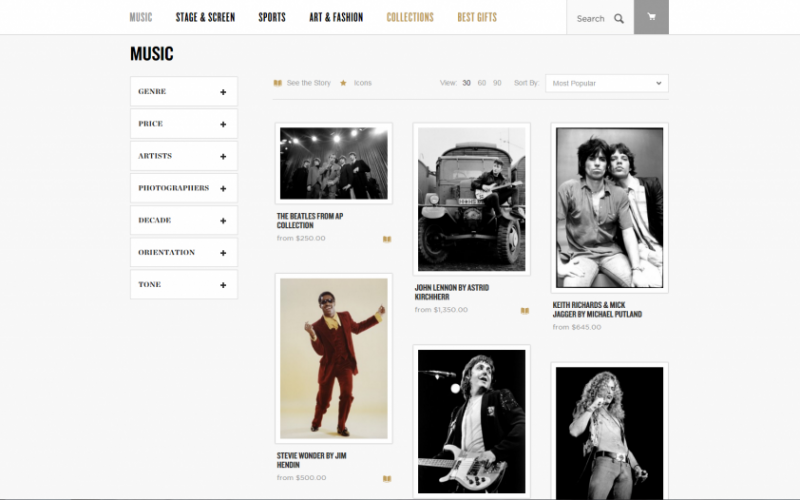 At Rock Paper Photo, they work to uncover rare and never-before-seen photos of rock stars, artists, and sports athletes for all of their fans. We made sure the redesign of Rock Paper Photo’s website highlighted their great-quality photos. Rock Paper Photo has hundreds of famous photographers who have been shooting these legendary people for years. All of these photos are available for purchase on their website. What we did for Rock Paper Photo was mostly a website re-organize. 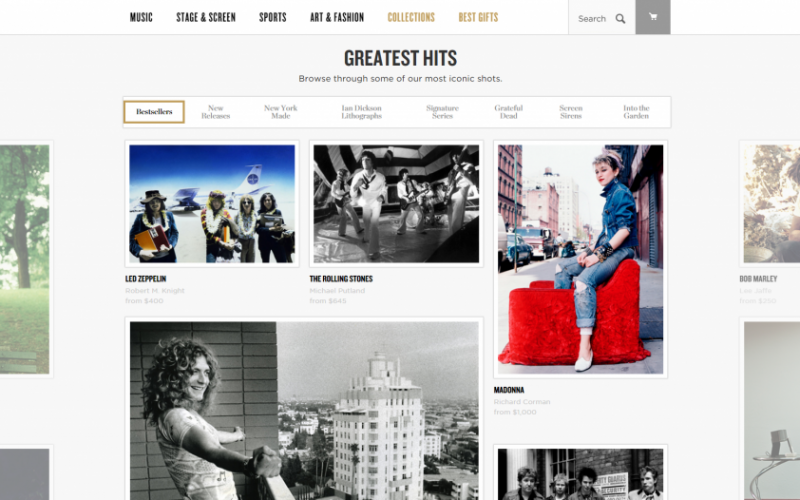 They wanted to keep their legendary, professional photos alive and seen by visitors. So for their website face-lift, we created a way for customers to view the photos and purchase as many as they wanted. The two of us worked together — the goal was to make it easy for fans to order high-quality photos. So if fans liked the band KISS, they would be able to look through Rock Paper Photo’s collection of that band, which contained 40 years of photos. Or maybe visitors wanted to remember David Bowie. In that case, they could look through the “On The Road with David Bowie” collection. The customer could get prints from Bowie’s most famous career moments, such as Ziggy Stardust, or when he worked with Iggy Pop. All of this was made possible because of the website’s face-lift we made at Union Square Design. Rock Paper Photo is a Fine Art Photography shop located in Midtown Manhattan. 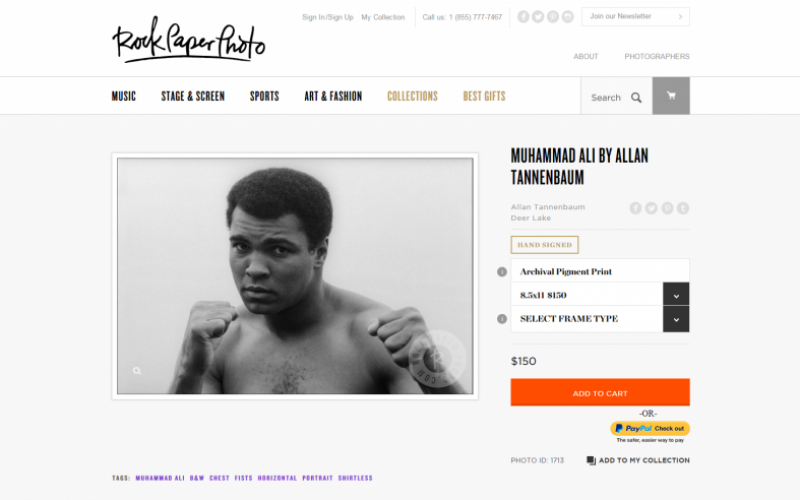 Rock Paper Photo specializes in iconic photographs of legendary celebrities from stage and screen, sports, arts and fashion, and music. If you dreamed of seeing classic rock bands, but missed it, these unique, museum-quality prints will connect you to those times. You can purchase these prints and have them for your own collection for a few hundred dollars.